Faded has been re-designed and re-developed from the ground up. 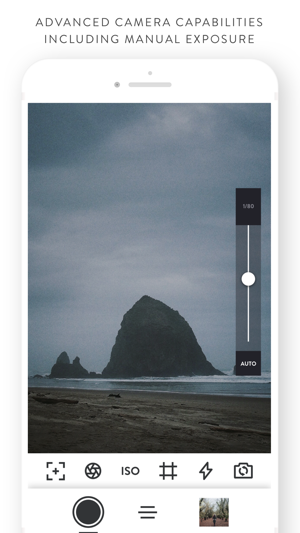 Faded is the premier all-in-one photo editor for iPhone and iPad. Professional photographers can’t live without it. Amateurs can’t believe how easy it is to look like a pro. Just check out #madewithfaded on Instagram for proof. No matter what your skill level is, you’ll love Faded’s gorgeous, film-inspired looks, and the powerful editing tools will help you take your creativity to the next level. Choose from 102 beautiful free filters. 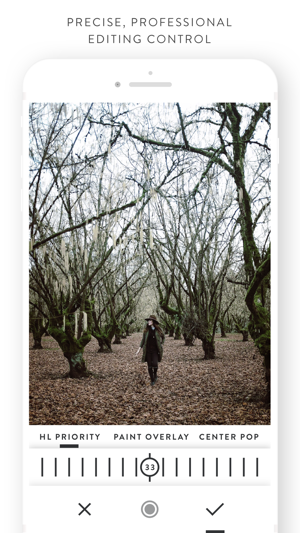 Faded’s custom filters bring the nostalgia and beauty of classic film to your photos. You can preview each one in large grid format. 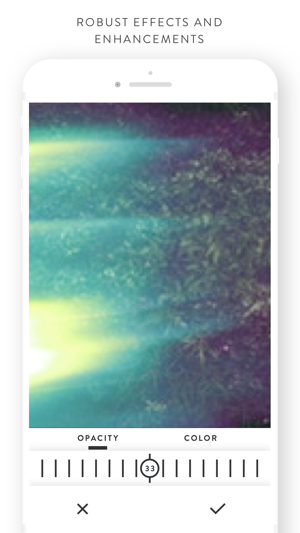 Signup for Faded Pro and receive a new gorgeous filter every day! Group your own edits and adjustments and save them as filters. You can later apply these custom filters—which professional photographers call “actions”—to any photo. 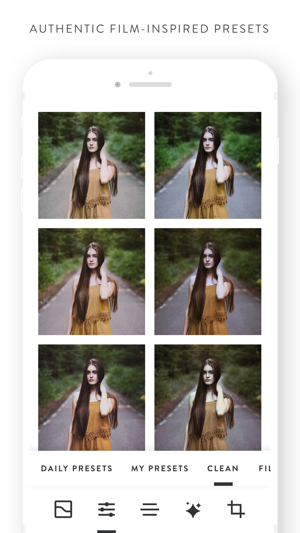 You can even apply your custom actions to multiple photos at once and do a “batch” export. Experiment with color-bursting gradients, light leaks, emulsions, and unique frames to give your photos a one-of-a-kind look. When you want to give your photos more depth and complexity, check out the premium effects. Maintain complete control of your images. Must-have tools such as manual exposure, hands-free snap shutter countdown, compositional grid or square format, split exposure, focus points, and burst mode ensure that you’ll be ready when the perfect shot presents itself. Customize your photos with 12 professional, custom adjustments, including fade, highlights, sharpen, exposure, shadows, grain, and others. Layer an image, solid color, or pattern over your original photo. 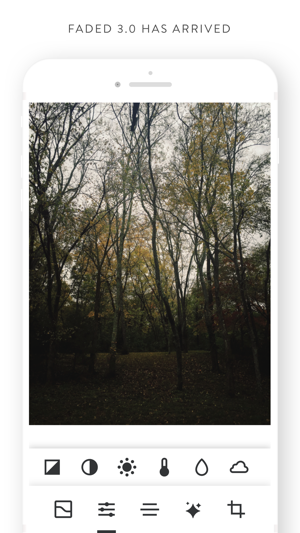 You can then adjust the opacity, filter, and blending to create truly remarkable pics. Access your complete adjustment history. Faded’s non-destructive editing enables you to revert back to any point in the editing process and save your adjustments as custom actions. 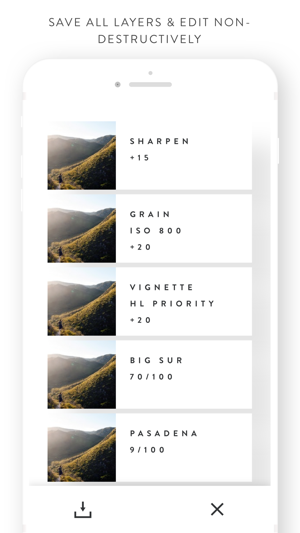 Perfect your images faster with the help of the app’s clean, intuitive navigation. Choose from 3 export resolutions and upload your photos directly to Instagram, Facebook, Twitter, Flickr, Tumblr, Dropbox, Evernote, and email. You can also simply save to your camera roll in high resolution. A Faded Pro Membership gives you access to a beautiful new filter every day and new professional editing tools every month! Take your art to the next level with Faded Pro. Faded Pro is $29.99 per year. Pricing in other countries may vary and charges may be converted to your local currency depending on the country you live in. Start your Faded Pro membership with a 3-day free trial. Once your trial is over, you'll be charged $29.99 USD/year. Your Faded Pro membership will automatically renew unless auto-renew is turned off at least 24 hours before the end of the current period. You can go to your Settings > iTunes Account & App Store > Apple ID > Subscriptions to manage your membership and turn auto-renew off. Your iTunes Account will be charged when the purchase is confirmed. Be sure to tag your photos with #madewithfaded and follow Faded's instagram @madewithfaded to get sneak peeks at new features. Have ideas for new features or improvements? We'd love to hear from you. -The library was updated so you don’t have to import into darkroom first. 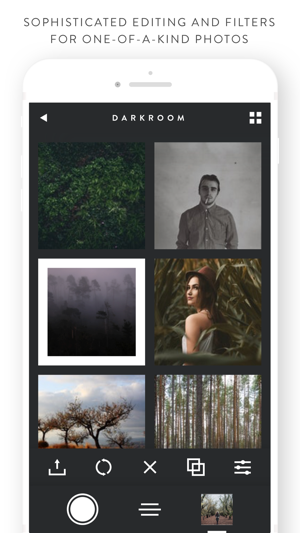 -Photos are imported into the darkroom automatically when they are selected from any library. Due to the popular demand of Faded filters, we're excited to release with this update Faded Pro, which is a premium membership to receive a new filter ever day + new monthly tools. Try it out with our free trial! PERFECT for Instagram filters and photo editing. The newest update removed a lot of the bugs it had for several years. The new design is excellent, also. If you want custom filters, fantastic grain effects, and a simple way to edit photos, this is the perfect app for you. Paying to use its advanced features seems worth it to me at least. There’s not much to complain about if you’re using this to simply touch up photos and give them a neat aesthetic. Love the app! Thanks developers for listening to complaints !!!! I was upset when the developers changed the layout with a sleeker design, which didn’t have labels and a confusing UI that centered (literally) around paying. 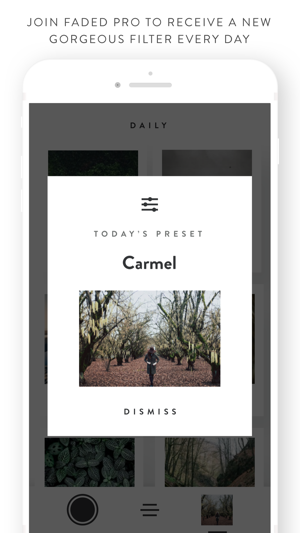 After complaints piled up, the developers did an excellent job compromising between their old design and the new format, with a friendlier design that works nicely with custom filters. I hadn’t used the overlay feature before, but I do agree that making it available to purchase after years of having it for free is a little weird. Have you tried downloading the newest update 3.1? We have addressed these concerns as well as many others as we listen to every email and review. We hope you enjoy the new build. You can send any feedback to hello@vintagenoir.com. Thanks for your patience as we worked out the kinks in 3.0! I do like the app. I just wish it had a beefier choice before having to pay for more. It does have some good choices without having to purchase more. I do think filters are getting out of hand, but what developers are doing is selling you a basic version and calling it pro, which is not acceptable, but who's going to stop them? A pro version means it's got everything in there. So, people are buying these "Pro" apps and getting a limited set and not wanting to pay for the better filters. These developers didn't make them; they used a template that someone else made. So people use these "lesser" filter sets which looks like second or third rate jobs and publishing these pictures on the web. It's better if they get a free graphics software, like picasa by Google, which has a button that basically fixes the lighting and coloring in your photo. It's free and a lot better than these other filters. I'm an avid iPhotographer and pride myself on being very discriminating when it comes photo apps. This is hands-down one of the best photo editing apps I've ever used. The features are many and highly customizable. While that is always quite true in this app, the interface is as lovely and simple as they come -- right down to the splash page. This is an elegant piece of programming. When it's this good, I'm happy to spend the $5 for the full set of features. If I could suggest anything, I would like to see some additional slider controls for enriching the blacks and pulling up the whites (beyond controls for shadows & highlights). Perhaps that can be a part of a future update?? 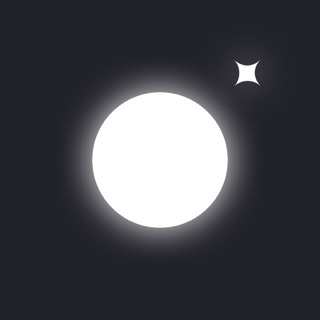 All that said, this is a fantastic app. Happy editing!